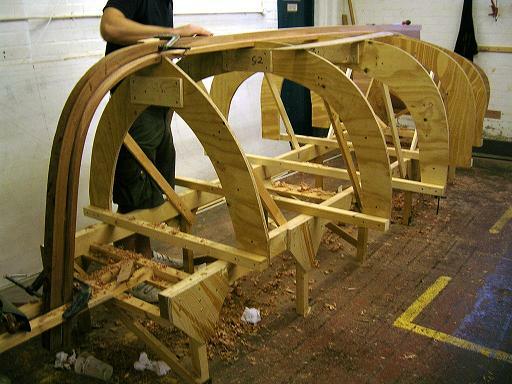 Set up building frames and construct the backbone for modern and traditional wooden boats. Produce the stem, keel, hog and transom for a small dinghy and fit the components together to form the backbone. The course also covers the theory of setting up for cold moulded, strip planked and carvel builds and includes a workshop tour of the range of boats, at set-up stage, being built by our flagship 38-week course. If you would like any further information please do not hesitate to contact us. If you would like to reserve a place on the course, please download the PDF form and send it, with your payment, to the address on the form.